Neuroblastoma. 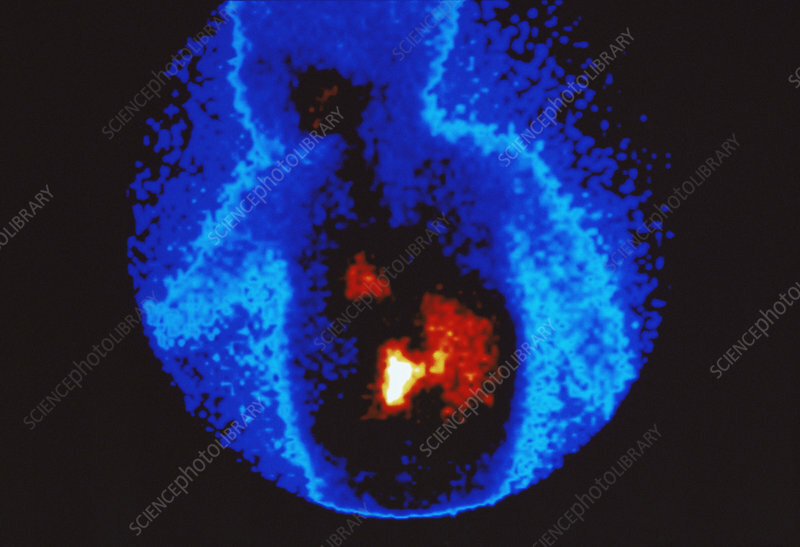 Coloured gamma scan of neuroblastoma tumours (white and red) in a 2 year old's abdomen. Neuroblastoma is a childhood cancer that arises from nerve cells in the adrenal glands, which are just above the kidneys. Its cause is not known. This is a stage IV neuroblastoma, meaning that the cancer has spread (metastasised) from the primary site. Treatment is with surgical removal of the tumours where possible and radiation and chemotherapy.